Although the spiritual roots of “modern” skiing are found in the 19th century in Norway, it was the British, fascinated by the image of the naturally virtuous mountain folk and the alpine scenery—described among others by Jean-Jacques Rousseau—who pioneered alpine sports. They arrived in the Alps in the 18th century and from 1850 to 1865, were the first to have climbed more than 30 Swiss mountain peaks. As for winter sports, Johannes Badrutt, owner of the Engadiner Kulm Hotel in St. Moritz, was a key figure. In 1864, he told his English summer guests that winter was even more beautiful and that he would pay for their lodging if they didn’t love it. Four aristocratic families came back for Christmas and found the winter wonderful. As a result, the station welcomed some years later more visitors in winter than in summer. The British liked, besides whiskey and betting, sports and competition. It all started with the “Lake Run” for sledges in 1872, followed by the “Village Run” in 1873, curling in 1880, artistic skating in 1882, the “Cresta” toboggan for sledges in 1885, Canadian snowshoes in 1886, Bandy (the forerunner of ice hockey) in 1887, skeleton in 1888, bobsleigh in 1889, the “Alpina Ski Club” in 1903, the oldest international Christmas jumping in 1904, skijoring in 1906 and the White Turf in 1907. Organized skiing in Switzerland can be dated as of 1893. Before, skiers are recorded in Saas-Fee (Pastor Johan Joseph Imseng – 1849), St. Moritz (1859), Glarus (Konrad Wild – 1868), Davos (Carl Spengler – 1873), St. Bernard hospice (1873), Airolo (Giocondo Dotta – 1879, who learned to ski in the U.S while searching gold, fabricated a ski in order to supervise his cows when the traditional snow shoes where of little use because of extreme snow conditions), Arosa (Otto Herwig – 1883), Les Avants (Louis Dufour – 1890), Adelboden (Peter Oester – 1890), Meiringen (Knocker – 1890). Interestingly, ski development did not start in St. Moritz or in another well-known mountain resort but in Glarus (a small town located halfway between St. Moritz and Zürich). 1893 was the year: born were a Ski Club, a ski factory, skis put at disposal to postmen in Davos as well as to militaries at the Gotthard and thirteen ski tours recorded. A key figure was Christof Iselin (1869-1949), from Glarus. At the age of 22, probably inspired by Fridtjof Nansen’s book “The first crossing of Greenland”, he had made his own skis. Not happy with the results, he arranged the following winter for two Norwegians, Olaf Kjelsberg (a relative of the writer) and Ja Krefting, to come with three pairs of Flickfeld & Huitfeldt skis, equipped with cane/leather bindings, to instruct him and some colleagues. The single bamboo sticks were 210 cm long with small steel disc close to the bottom and weighed 1.5 kg. To demonstrate the ability of skis, Iselin, a Lieutenant, later a Colonel in the army and Jacques Jenny climbed in January of 1893 from Glarus to the Schilt Mountain (5 hours for a height difference of 1820 m). End of the same month, Iselin organized a race from Glarus to Schwyz to prove that skis were faster than snow shoes (at the time used by farmers, alpinists and military). With Kjelsberg, Naef and von Steiger, latter with snow shoes, they went over the Pragel pass (up to 5 hours for the 10 km with a difference in elevation of 600 m). The skiers were slower uphill, faster in flat sections and obviously much faster downhill. 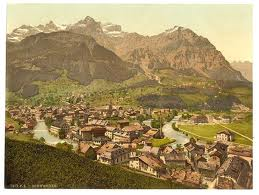 Iselin was also the initiator of the first Swiss ski race, the one of the “Ski-Club Glarus” in 1902 from Glarus to Untersack (8.5 km cross-country with 500 m altitude difference; 14 participants), preceding by 3 weeks the “Erstes Grosses Skirennen” in 1903 at the Gurten close to Bern (10 km cross-country, 1.4 km downhill with altitude difference of 200 m as well as jumping). He was also originator of the first jumping competition of the Swiss Ski Federation in 1904 (with already 15 clubs and 700 members) as well as the first Swiss Championship in 1905 (by the way attended by 10,000 onlookers) which Iselin won. Latter also developed the “Iselin-Bernina” snow shovel which of duralumin weighted only 350 g; the shovel was used worldwide and some models could even be coupled to a ski stick or an ice axe. The man behind the above mentioned ski factory was Melchior Jacober, a carpenter, also from Glarus. As of 1893, he fabricated Telemark and Mountain skis, latter shorter (180 to 200 cm) and wider (10 to 12 cm) of ash and elm, all branded with his name, one called “Glarona”. The bindings were made by his cousin, Josef Jacober, a saddler of the same town. At the end of the season, Melchior had sold close to 100 pairs, the following year 300 at a price of 20 Swiss Francs compared to 30 for Norwegian skis – the cost of two days full board in a good hotel! As apparently there was more money in skis than in bindings, Josef Jacober began producing skis from 1896 on (until 1967). He launched a ski branded “Gotthardsoldat” (soldier of the Gotthard mountain range) in 1900, which became so successful that several armies as far as Chile, Persia and Russia purchased them. Josef was very productive: after 20 years he had sold over 250,000 pairs. Already the year before (1895), the brothers Rudolf & Christian Ettinger founded the “Wagnerei & Skifabrik zur Mühle” (cart making & ski factory to the mill) in Davos-Glaris. Rudolf opened a sport article shop and moved the business to Davos Platz in 1906 where he also made all kind of carts and sledges, among other the Canadian rescue as well as the famous “Davos” sledge. During World War I, they sold yearly over 10’000 pairs of skis to the army. Likely with some of the proceeds, Ettinger acquired in 1919 a ski factory from Herald Smith (founded in 1912), located in Diessenhofen. Andreas, one of Rudolf’s sons managed the center which took over the ski production and added to the assortment wooden wheels for cars. The skis were then sold under “R. & Ch. Ettinger”. Jack Ettinger, the youngest son, was member of the Swiss National Ski Team and slalom champion of 1936. Two years before, he developed the “Jack Ettinger” edge. Later he headed for 25 years the Ski School Davos and founded in 1939 the first Swiss Ski School in Argentina. Jack Ettinger also suggested end of the 30’s to Ernst Constam, the inventor of the J-bar ski lift, to use T-bars. The Ettinger family still own three sport article shops in Davos. At the turn of the century, Switzerland had at least three ski factories: the two Jacober cousins and Ettinger. After the WW1, the industry boomed to a point that at the end of the 30’s there were at least 40 manufacturers such as Amrein & Weber, Attenhofer, Authier, Badan, Beerle, Beusch, Brangs, Britt, Daffry, Erba, Ernst, Firn, Grässli, Gribi, Homag (which Duplex model was a sophistically laminated ski, raced among other by Edy Rominger, who won 7 medals at World Championships of 1936, 1938 & 1939), Inglin, Kaufmann, Kuehler, Mathys, Müller (# 1 re cross-country skis), Murgenthal, Nidecker, Rebell, Robert-Tissot & Chable, Roth Frères, Säntis Forrer, Scheller, Schenkel, Schraner, Schwendener, Seiler, Siegenthaler, Skissa, Smith, Spozio, Staub, Stöckli, Streuli Frères (which sold among other, learning sets to ski schools to start with 120 cm length, than moving up to 130 cm and finally to 160 cm, Sutter, Swiskis, Test, Thorens, Tödi, Toko (cross-country skis only), Valaiski, Wanderswo, Weber, Wehrli (which “NO-SPLIT” model of 1938 sold as break free due to the small layer celluloid between the upper ash and the lower hickory part), Wiesmann, Wisa-Gloria, Zogg (which launched around 1930 a 130 cm glacier ski which as a particularity had two grooves) – besides most likely several others. In 1934, Schraner patented a folding ski (CH144392) for touring and at the New York World’s fair of 1939 and unknown manufacturer exposed an all metal-bottom ski. Alfred Badan began manufacturing skis in 1908 in a shop located between Bursins and Gilly, close to the lake of Geneva. The low cost skis were of ash, the expensive ones of hickory. In the 30’s they also produced laminated wood, some with celluloid edges and base. Alfred II, the son of the founder, developed an alpine ski with an entire green celluloid fish-scale pattern base, called “SAHY” – which allowed moving uphill (patent CH189670 and CH19326, both of 1936). He also experimented with aluminum skis. They manufactured alpine, racing, cross-country, jumping as well as water skis – and exported even to the U. S. During World War II Badan diversified into sledges, carts and even military barracks. Because of lacking business they stopped production in 1948. The big manufacturers were Authier, Attenhofer and Schwendener. In 1910, John Authier opened a shop for the manufacture of wooden articles for farmers located in the village of Bière, close to Geneva. Anticipating a ski boom, he built a factory there in 1927. Their first models featured the name of Swiss mountain peaks: “Matterhorn”, “Diablerets” and “Muveran” and all carried the logo “Suiskis” (Suisse skis) with three fir trees and the armories of the town of Bière. Authier’s first racing success was at the prestigious Arlberg-Kandahar downhill race in 1935. With the model “FIS-Super”, Swiss champion Willy Steuri won. During the war, they changed the logo to a patriotic and Swiss quality symbol: the crossbow with on top of it, Authier and on the bottom the armories of Bière. In 1948, Authier launched the “Vampire” (named after the first jet airplane of the Swiss army, made by the British De Havilland factory). Alfred Ueberschlag, head of manufacturing, had the idea to insert loose stainless steel laminates of 1 mm thickness, 60 cm long and 2 cm wide at the front of the ski and of 40 cm x 2 cm at the rear, leaving open parts in the middle. The Vampire was great in races and commercially. As the ski was already well placed during the Olympics of St. Moritz (1948), the officials of the Swiss team selected the “Vampire” for the World Championship of Aspen (1950). With it, Georges Schneider won Slalom gold, later silver in Banff, then again gold at the Harriman’s-cup in Sun Valley. Madeleine Berthod won a gold medal in the downhill and the combined at the Olympics in Cortina d’Ampezzo (1956). After the 5th medal, all of them were reproduced on the top of the “Vampire”. “The golden Vampire book” with all results obtained with that ski. At about Swiss Francs 100 (which represented around 100 hours of a workmen’s salary), it sold for three times less than a Head “Standard”, even though it was a much better ski – except in deep snow. In 1960, the “hayfork factory”, named so by the village people, burned down. The same year, Authier built a new factory equipped with the latest technology for metal, synthetic material and wooden skis, the biggest in Switzerland. Authier introduced in 1962 the anti-break guarantee and began also producing water skis for Britt as well as ski-bobs. Neither successful was their “Lilliput”, a full wooden, inexpensive short ski – it came 10 years too early! In 1968, Authier sold 46,000 pairs sold (70% metal, 20% fiberglass, 10% wood), number one in Switzerland before selling the business the year after in1969 to Olin Corporation, a U.S. chemical firm which wanted to diversify. After building its own plant in Connecticut, Olin decided at end of 1972 to sell to Rossignol & Haldemann. Rossignol, the world market leader, invested in what would be Europe’s most modern ski factory with a capacity of 65,000 pairs per shift. Racing skis were made by Rossignol, those for world speed records by Authier. With an “Authier-Compétition”, Pino Meyer, an Italian racer realized over 194 Km/h in 1975; two years later they broke the record with almost 196 km/h – with 2.5 meter long skis. 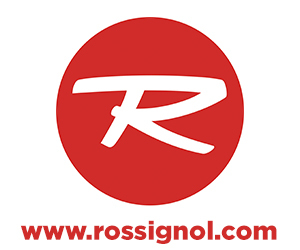 Rossignol, which had collaboration with Lange and Killy, reached an agreement to manufacture Lange skis at Authier factory. Nonetheless Rossignol & Haldemann announced the close of the factory in 1988 and to transfer the production to France and Spain. Authier was bought by Pierre-Alain Blum of Ebel Holding Finance (owner of Ebel watches, movie production, medias and golf tournaments) with participation of MBD (Marc Biver Development – sport sponsoring). 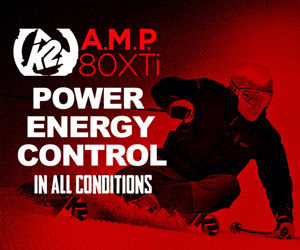 They diversified in mountain-biking, snowboard, sport clothing and invested heavily in sales, marketing and research. In view of the coming 80 years of Authier, a modern replica of the “Vampire” was launched – with on top its logo with 5 medals. The Authier brand belongs presently to AEFFE, a leading Italian multi-brand fashion and luxury group (see www.Aeffe.com for a résumé with some pictures of Authier). They bought it in 2006 from the Mazzotto group, another Italian fashion company which had bought it in 2002 from Arabian. Henri Nidecker began ski manufacture in 1912 at Etoy, close to Lausanne. The skis were of ash and hickory until 1946 when the company also offered laminated wood. In 1962, they introduced metal and in 1963 fibreglass skis. In 1982 Nidecker launched the first mono ski, an instant hit in France and Switzerland. From 1984 on, they specialized in snowboards and were # 2 behind Burton. Adolf Attenhofer won the Swiss Championship in 1917 while working for Ettinger where he developed skis. He also elaborated a method to determine the place of the toe iron in relation to the skier’s ability. From 1915 to 1957, Attenhofer patented many inventions regarding skis, bindings, edges, even clothing. In 1925, he quit Ettinger to start manufacturing skis in Zumikon close to Zürich. Besides skis, Attenhofer offered also folding skis as well as among other a fast red base called “Temporit”, harder than hickory. In the 30’s, they acquired the Alpina bindings. The firm was particularly famous for their laminated wooden skis introduced in 1936 (license of the Norwegian “Oestbye Splitkein”). In 1947, Attenhofer merged to form A.K.A. (Allais, Kandahar, and Attenhofer). At the Olympic Games of 1948 in St. Moritz, a large number of medals were won on Attenhofer – at the time the Rolls Royce of skis. Among other, Swiss champion Karl Molitor, 11 time winner of Lauberhorn races between 1939 and 1948, slalom and combined medals winner at the Olympics of 1948 – incidentally with the same, 220 cm long pair of full hickory skis, at that time an obligation of the Olympic Committee. In the 50’s the company introduced the “A15” metal ski, in the 60’s the “Kurzski” (170 cm long, 9/8/8.5 cm wide). After Attenhofer’s death late 50’s the factory inclusive brand was acquired by Emil Preisig who sold it in the 70’s to a manufacturer of plastic belonging to the FIAT automobile group. Schwendener, an apprentice carriage-builder in that resort, opened a shop in Buchs (close to Austria) in 1931. The first year, they produced 74 pairs, in 1942: 1,500, in 1950: 10,000, in 1968: 100,000, many of them exported to U.S. (as of 1936, Sears as biggest customer), Canada (Eaton), Australia, Austria, Belgium, Chile, Finland, France, Germany, Great Britain, Japan, Italy, Netherlands, Norway and New Zealand. The US army placed in 1970 a large order for their Alaskan troops. In 1971, the sons of the founder, Hans and Fritz, build a modern factory with a capacity of 100,000 pairs in 2 shifts at a cost of Swiss Francs 3,000,000 (over USD 5,000,000 at today’s value). During the bad years of the 70’s (oil crisis, little snow, fall of the USD), they cooperated with Kneissl to produce skis in Austria at a lower cost. As sales did not improve, the business stopped in 1979. Schwendener’s most successful skis were the “Touring” (1953) as shown on the left, a wooden ski with a metal base, excellent handling in all kind of snow and the “Caravelle” (1954) their first metal ski, a sophisticated construction with a rubber layer between the steel edges and an aluminum plate for shock damping. Hans (John for his many U.S. friends), the salesman, had memories of skiing and stories of places like Crystal Mountain, Washington, Colorado and Alberta as well as close to hundred stations in Europe. Unfortunately, his only son, Jean-Luc, died 2003 in an avalanche in the Canadian Rocky Mountains. Hans died in 2004, Fritz in 2009. Josef Stöckli began fabricating ash skis in the family’s carpentry shop in 1935 in Wolhusen, close to Lucerne, selling the same year 50 pairs of ash. By 1945, the Company also offered laminated wood, some with celluloid edges on top, by 1957 metal, by 1965 fibreglass skis. In 1967 Stöckli started to retail bindings, poles, ski boots, cross-country skis as well as accessories. At the same time, they changed its vending practice to selling directly to customers; as a consequence they were excluded from the “Swiss Ski Pool” (an association of specialised shops) with the result that they could not supply the Swiss racing teams (until 1994). In the 60’s they patented (CH407 836 &CH408 734) covering steel crampon respectively skis with inclined borders. The first Stöckli skis raced in the World Cup were in 1991 by Marco Büchel, member of the Liechtenstein Ski Pool. Meanwhile, they won many international races with the “Laser” SL, GS, SG & DH models with Didier Plaschy, Urs Kaelin, Ambrosi Hofmann, Andrej Jerman, Fabiene Suter, Alois Mani, Mike Smith, Ashleigh McIvor (CAN), Tina Maze (SLO), Audun Gronvold (NOR) including 2 medals at the World Ski Championships in Garmisch-Partenkirchen (2011) and 5 at the Olympic in Vancouver (2010). In 1998, Stöckli launched the “Stormrider”, their first Freeride ski, developed and promoted with Dominique Perret, who at Mount Alberta, Canada, established a world record negotiating 120,000 m difference in elevation within 14 hours. In 2000, the company founded the “Stöckli Bike Team”, highly successful in Marathon, Cross-country, XTerra, iXS and Triathlon. They won their first Downhill World Cup ski race in 2007. The same year, the company changed to “Stöckli Swiss Sports AG” and the logo to . At present, they have 14 chain stores in Switzerland and are represented in 31 countries. After World War II, the Swiss manufacturers were able to produce at full capacity whereas their alpine neighbors, Austria, France, Germany and Italy had to rebuild their factories. Between 1960 and 1995 however, most Swiss ski factories closed as production cost, because of the high salaries, were too high to be competitive. Only Stöckli remained as a large manufacturer. However, new business appeared at the turn of the century: RTC (Ready To Carve) in 1995, AK (Aldo Kuonen), in 1996, Movement in 1999, Faction in 2002, Birdos, Zai in 2003 (priced up to $10,000! ), Core in 2004, Blackcrows, Kessler and SCHUETZSPORTS, all three in 2005. As a particularity, SCHUETZSPORTS offers custom made logo and/or design – and even sold 500 pairs to the Russian elite army), Heidiskis in 2007 (with a branch in Sun Valley). All are expensive high-tech skis, produced in small quantities and sold exclusively through specialized shops. Mueller developed in 1903 a binding with pivoting toe irons, each with a spring pushing the shoe down to the ski. Jules Sessely (patent CH38425 of 1907) had automatic adjustable toe irons with an interlocked spring in front to which a flexible cable was attached to leather straps around the shoes. The binding allowed easy up and downwards movement of latter as well as removable toe irons, this without any tool. Mueller developed in 1903 a binding with pivoting toe irons, each with a spring pushing the shoe down to the ski. Eduard Beetschen (patents CH47968 of 1909, CH62886 of 1913, CH118245 of 1925, CH159185 of 1932, CH172106 of 1934) consisted of a hook screwed on the front bottom of the shoe which was engaged in a tightening lever fixed to the skis. For more than one generation, the “Alpina”, introduced in the 1920’s, was the least expensive and thus the most common on the market. It boasted adjustable, screwed on toe irons to which leather straps were attached to a “Hoyer-Ellefsen” tension lever. In the late 20’s, Alpina was sold by Attenhofer. Adolf Schiess (patent CH93314 of 1920 & CH108294 of 1924) covered conventional bindings but patent CH108294 of 1925 may be the first safety binding worldwide. Similar to the Beetschen, it had a hook screwed on the front bottom of the shoes, steel rods attached to the toe irons for fixing the shoes and buts in front. These allowed the shoes to move upwards and to disengage from the toe irons. The binding was sold by “AS” Geneva for Swiss francs 25 claiming 16 advantages including a 5 year guarantee. Anton Kolarik patented in 1927 (CH128762) the binding shown on the left. A heel strap attached to steel blades under the shoe was hooked to a tension lever, latter screwed on the ski in front of the toe iron. The lever, incorporating a spring, permitted to push the shoe into the toe iron. Guido and Henry Reuge (grandsons of Charles, the founder of the music box manufacturer in Ste-Croix in the Jura Mountain range, still in business today), both passionate skiers experimented in 1929 with bindings. Guido, a mechanical engineer of the Swiss Technological Institute (ETH), early member of the Swiss Academic Ski Club (SAS) and ski racer, patented in 1932 (AT137011 & CH175818) the first one really fit for downhill. It consisted of adjustable toe irons, steel cables instead of leather straps, attached to serpentine springs at the heel and a tightening lever, in 1932 in the back, thereafter in the front. To suit boot sizes, the cables could be anchored into different emplacements of the lever. Further, due to different hooks at the toe irons and at the side of the skis, the heel could be left free as required for “Telemark” turns and touring, or fixed down for slalom and downhill. The 1938 “Kandahar” (named in reference to the prestigious Alpine races) needed a screw driver to remove the cables so as to prevent stealing them It revolutionized skiing, became highly successful and was licensed – and copied – worldwide. As market leader, “Kandahar”, belonging to Attenhofer offered in 1952 nine models (Boy, Baby I, Baby II, Junior, Monopol, 3 kind of Super, Automatic, Supersport, latter with two springs in front). “Kandahar” was still sold in the 1960’s, some with two small springs in front as well as with safety pivot toes. Together with his brother Henri, they owned over 10 patents covering bindings besides much more covering ski equipment, music box and others. Walter Amstutz, a friend of Guido Reuge, also mechanical engineer ETH and ski racer, brought on the market in 1929 the “Amstutz-spring” (patent CH140454), attached to the skis behind the shoes and to the upper part of latters to give a certain halt for the modern “Vorlage” Ski Technique”. Gustav Ruchser patented in 1930 adjustable toe irons, locked by two toothed wheels fixed under the irons. He also invented from 1910 to 1954 several equipment parts of skis, poles as well as climbing skins. Different binding came up in the 30’s, several with tension levers in the back. On the upper left, the “Hespi” with serpentine springs at the back, in the middle the “Bernina” with small diameter spring cables instead of leather straps; the front part of the cable could be locked in a horizontal or inclined position for either walking or descent. On the right the “Universal” which even had three positions to set desired inclination. Underneath, a “Thorens” which manufacturer made also skis. Adrien Lador, patented the Labrador, a binding similar to the “Kandahar” but without springs. Possibly because of its simplicity, it equipped the skis of the Swiss Army. The tension lever of some models is pulled to the front, of others to the back. The “Belmag” of 1938 (patent CH 205566) had two parallel serpentine in front and became the main competitor of the ”Kandahar”. In 1943 they replaced the two springs by one located under the tightening lever. Ernst Gertsch, the initiator of the Lauberhorn races in Wengen, patented various quick-release binding (CH354012, CH412672, CH412672, CH457235, CH462017) – some already with incorporated ski stopper. From 1967 onwards he began selling release plate bindings too. At one time Gertsch covered almost half of the plate binding market, the “G70” being their top model. Also in 1967, the “Su-Matic” provided a downhill and a touring mode. It was good in the downhill mode, but with only 11/2″ heel lift, limited in ascent. As a complex piston/spring binding it was rather heavy – and as sales lacked, abandoned in the 80’s. Albert Fritschi opened in 1960 an engineering shop in which he manufactured as of 1966 the Gertsch binding before taking over in 1979 latter’s patent and distribution rights. In 1977, Fritschi launched their first plate model for alpine touring. His sons, Andreas and Christian, developed the company to become today the global market leader of ski tour and freeride bindings with walking function. They launched the “FT-88” in 1980 of which not less than 70,000 were sold to the army. The company designed their first binding for snowboards in 1988, the “Verton” but abandoned it early 2000. Fritschi reached a milestone in 1995 by launching the “Diamir”, a new generation of touring bindings, lighter, safer and easier to handle. Recent models are the “Diamir Eagle” for touring, the “Diamir Freeride Pro” for Freeride Mountaineering and the “Diamir Experience”, an all-round touring binding for price sensitive customers. In 1996, they presented the “Rave”, the first real carving binding with integrated rod height and free moving bond bridge, followed the year after by the “EVO 2” and in 2002 the “EVO 3” with the models “Powerride”, “Freeride” and “Easyride”. Their first Telemark binding came on the market in 2000 and included safety feature. In 2005, the company introduced the steel crampon “Axon”, fastened to the binding which can be activated or deactivated with the pole. Fritschi is presently represented in 32 countries and equips the French, German and Swiss army. Since 2009, they are integrated into the Nordeck International Holding group. In 2001, some ex staff of Fritschi started up the “Naxo®” company. 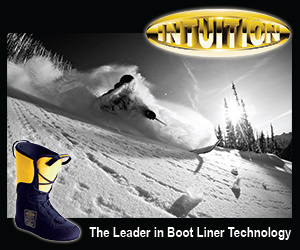 Their model NX01 and NX02, mountain and freestyle bindings had as a particularity, double pivots. Naxo was bought by Rottefella, Norway in 2006 but as latter could not gain the critical mass, discontinued the binding in 2009. In the 30’s appeared edges of steel, aluminum, duralumin, brass, messing, blue celluloid, even horn, of different size and forms, screwed-on or glued, base or side mounted. The most familiar were named “Ideal”, “Jack Ettinger Spezial”, “Lauberhorn”, “Rubi”, “Parsenn Schuss”, “Parsenn Spezial”, “Parsenn Firn”, “Silberhorn”. Beerli patented in 1935 the blue celluloid edges, often used for the ski’s upturn. Of special design were: the “Staub” of brass, without screws, held by small staves introduced from the sides, the “Bärlocher” combi-edges, violet celluloid with on the side of the skis screwed-on 5 cm steel ones, the “Staehli GS”, 5 cm with acute bevel and tongue requiring one screw only, considered best by many racers, the “Rominger” of one piece with a small steel surface enlarged with blue celluloid (which provided faster skis). In 1972, Inter Montana Sport (IMS) sold the exclusive rights for cracked “VCE” edges to Olin-Authier. There was a time when Switzerland was the largest shoe and boots production center in the world, with the Bally Company over 150 million pairs since inception. Its founder, Carl Franz Bally (1821-1899) and his brother established in 1851 the “Bally & Co”, manufacturing among other, high fashion silk ribbons in Schönenwerd. In 1854, they set up a factory for foot wear, the “C.F. Bally” and employed some year’s later more than 500 people. Within another decade it had built an international reputation for quality and design and expanded operations to Europe and America. In the 20’s, they launched ski boots, in the 30’s the well-known models “Oslo”, “Winner”, “Arosa” (latter of brown scotch grain leather with a storm proof lacing), “Olympic”, in 1951, one of the first double ski boot, the “RADAR”. As the ski boot business was not profitable, Bally entered a joint venture with Koflach in the 60’s. In 1999, Bally went into the hands of the American investment fund Texas Pacific Group and since 2008 they make part of the Labelux Group, Austria. Matthäus and Andreas Henke with Johann Georg Storz, three Germans, set up a shoe factory in Stein on the Rhine, Switzerland in 1885. They employed in 1889 56 persons, in 1911 130 but collapsed in 1936 and changed to a trading company. Henke specialized later in ski boots, for example in 1955 the “Stein Ericksen”, a successful two-lace model. Franz Heierling, a Davos shoemaker made his first pair of leather boots for skiers in 1885. He copied the “Laupar” shoes of some Norwegians who had been teaching skiing to a few locals. Years later, his family fabricated what became known as the Rolls Royce of hand-made leather ski boots. For the Olympic Games in St. Moritz (1948), even the French team (under Emile Allais) had special braze-reinforced boots, made by them. Many racers trusted Heierling boots: among other, they helped the US and the Swiss team to win six medals at the Olympics of Squaw Valley (1960) and four of Innsbruck (1964). Heierling is still a family business. Louis Raichle founded his company in 1909 in Kreuzlingen, close to the German border. It became world famous for ski, climbing and recreation boots, represented in the U.S. by Frank Kerner. For the 1980/81 season, they launched the “Flexon 5”, a 3-piece boot, an improved three-piece design developed by Sven Coomer and commercialized by Erik Giese of Aspen’s Comfort Products. One of the first pro ski racers and freestylers to compete in the boot was Billy Shaw on a prototype in 1979/80 and hot dog freestyle skier Peter Ouellette. The boots quickly caught on and became one of the top boots of choice by Olympic racers and freestylers. Bill Johnson won a gold medal at the Olympic downhill of Sarajevo (1984), Nelson Carmichael was a two-time World Cup Grand Prix Mogul champion and won a bronze medal at the Olympics of Albertville (1992). In 1983, Raichle built a new factory on the other side of Kreuzlingen. Their president, who owned the company, sold it to Peter Werhan (a grandson of Konrad Adenauer, the chancellor of Germany). Sales grew worldwide due to podiums of Olympic and World Cup race as well as freestyle competitions and as Raichle held strong patents. After Werhan died, the business went down. 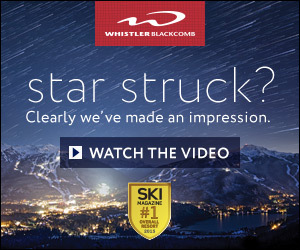 In 1996, the business was purchased by Swiss banker Dr. Grosnick who bought companies in distress such as Kneissl skis. Latter became Austrian Kneissl, renamed in 1998 to Kneissel & Friends. Their marketing concept was Kneissl for skiing and ski boots, Raichle for climbing and hiking shoes, and the new brand DeeLuxe for snowboard boots. This strategy resulted however in sales decreases and as a consequence the company was sold in 2003 to the Mammut Sports Group; later was founded by Swiss Kaspar Tanner in 1862 for ropes is now worldwide known for mountaineering, outdoor pursuits and snow sports products. Other ski boots manufacturer in the 20’s and 30’s were among other Chodan, Doelker & Walder, Lüscher & Laber. The hand-made boots crafted by Fritz von Allmen, a shoemaker, ski instructor and racer in Mürren, were famous for their material, workmanship and design. The members of the local Kandahar Ski Club (named after Field Marshal Earl Roberts of Kandahar) appreciated the boots so much that von Allmen named the company he founded in 1932 “Kandahar”. He was likely the first to extend the lacing to the toe and to introduce a sponge-rubber tongue. Von Allmen also came up with a leather belt at the top, around the leg, for firmer stability and traction. The family business abandoned ski boots at the time plastic replaced leather and sells after-ski boots, which are to this day handcrafted in Gwatt, close to Bern. Fritz Molitor, a saddler in Wengen (the sration of the famous Lauberhorn races) , started repairing shoes for tourists before making hand-made ski boots in the mid 20’s. His son Karl launched the “Molitor” boots, with which he and others won many races. After his two medals at the Olympics of St. Moritz (1948), he was the first to export hand-made boots to the U.S.
At the other side of the valley, Fritz von Allmen, a ski instructor, a racer and a shoemaker in Mürren, crafted famous boots known for their material, workmanship and design. The members of the local Kandahar Ski Club (named after Field Marshal Earl Roberts of Kandahar) appreciated the boots so much that von Allmen could name the company he founded in 1932: “Kandahar”. He was likely the first to extend the lacing to the toe and to introduce a sponge-rubber tongue. Von Allmen also came up with a leather belt at the top, around the leg, for firmer stability and traction. The family business abandoned ski boots at the time plastic replaced leather and sells after-ski boots, which are to this day handcrafted in Gwatt/BE. Georg Spini of St. Moritz/GR manufactured “Vorlage” boots, thus forcing a forward position. It served some of the Swiss ladies team, such as Niny von Arg-Zogg (slalom silver medal winner of the Ski championship of 1938). These boots were ultimately sold by Löw. In the 40’s several racers used a “Rominger” wedge shaped platform to be laid between binding and boot, this again to force a “Vorlage”. In 1905, a Swiss trade journal carried a lengthy article about various attempts to use strips of skin fixed from the tip of the ski to the binding so as to permit climbing slopes. In the 30’s “CHEVA”, “PAMIR” and “Pomoca” sold conventional, later also adhesive (glued) skins. Subsequently, the “TRIMA” became the mostly used skins for more than a generation. They consisted of 3 small metal plates riveted to the skins which could be easily inserted to 3 metallic hinges fixed in the groove of the skis. By 1968, Tödi Sport in Glarus/GR introduced the “Colltex®” adhesive skins, still widely used to this day. In 1916, the Schoop Company, specialized in metal spraying, prepared 3 skis, 2 with aluminum, the other with copper sprayed base. They were tried out by the Ski Club Bern in the region of Lenk – the results were disastrous. In the 30’s, many varnishes were developed such as “Authier Competition gold-yellow”, “A21”, “B.S.33”, “Gsellin”, “Lucendi”, “Maissen yellow, “MIWI”, “OP1”, “Säntis”, “SKIBO”, “Skiwa”, “Temperol green”, “Rulack”, “TEMPEROL 3”, “Vernisvert”, “Wesco”, “Unikum”. The “Beerli” base helped several racers to win at the Olympics of 1948. In the 50’s, Müller (the founder of Montana Sport, better known as IMS) introduced the highly successful P-Tex® polyethylene base to oxidize the surface (a patent of 1952 by Dr. Kreidl, U.S.). TOKO, well known by alpine and cross-country skiers, was founded by Jakob Tobler in Altstätten (1916) for products caring footwear and leather goods. Its first ski product was “Skigliss”, a red-colored varnish and “Skimont” for ski bases sold under the Toko brand (1933). It was followed by “rub-on wax 1-3-5” (1940), Olympiawax Combi blue-red-green” (1948), “Paraffin-Skiwax” (1969), “System 4” (1974), “hot waxes” (1975), “System Elite” (1979), “World Cup Wax” (1985), “Wet Jet”and Streamline” first fluorinated wax (1989), “Dibloc” (1991), “Nordlite Molydenum” (1996) and “HelX” (2002). Several Olympic and World Champion-ship winners in alpine, Nordic as well as snowboard disciplines relied – and rely – on Toko. They also sold wooden cross-country skis as of 1971 and fiberglass as of 1974, both made in Sweden. Toko was absorbed in 2002 by the Mammut Sports Group. In 2010 it became part of the Swix Sport, a Norwegian company with products for tuning skis and boards as well as accessories for outdoor activites. In 1905, at a time most skiers used one pole only, a manufacturer offered one which could separate in two pieces so as to permit skiing with one or two poles. Gustav Ruchser, patented in 1931 (patent CH150336) a pole characterized by a basket attached without piercing the pole and which hand strap could easily be exchanged. Guido Reuge of 1932 featured adjustable length (patent CH165184). In 1930, Walter Amstutz and Max Lüthi convinced Arnold Lunn to introduce hinged slalom poles for the Kandahar races. The “Müro” pole was on the Himalaya expedition of 1936. An interesting invention of 1948 was the “Labor”; it had spring suspended basket rings which always maintained the baskets in place. In 1960, Borda’s “Lawinensonde” was designed for searching people buried under avalanches. One handgrip and the two baskets could easily be taken off which allowed both poles to be pushed together so as to get a long stick. The “Tele pole” (1971) was particular in that it had variable spikes capable to adapt itself to different snow conditions. Worbla, mentioned earlier, manufactured blue celluloid edges from 1935, celluloid bases from 1950 and polyethylene bases from 1956. Later, their extruded polyethylene flame treated base became the famous “P-Tex®” base. In 1962 followed the pressure sintered polyethylene bases, known as “P-Tex 2000®”. Head, an early customer for “P-Tex®”, acquired the exclusive rights for this fast base – and won many races with it. Since 1976, Worbla is a part of the Inter Montana Sport which itself belongs to the Gurit Composite Technologies group both Swiss firms. Gurit is today a leading supplier of semi-finished materials and sub-assemblies to the winter and summer sports industry. Gaston Haldemann and his brother Willy made some fiberglass/epoxy skis with wood core as of 1957. Former patented a hollow ski in 1958 (patent CH351205, one of over 40) which would become famous. “Kaiser” Franz Kneissl looked at it, but did not believe in the new technology. As a consequence, Gaston sold the license to Rossignol and got engaged by them in 1960 to develop the technology with the required moulds and presses in France. However, as Rossignol began to develop non hollow fiberglass/epoxy skis in 1963, he quit for Inter Montana Sport (IMS). In 1965, he nonetheless founded a company with Rossignol (Haldemann-Rossignol AG) located in Stans, Switzerland. After disappointing downhill results, Haldemann had the idea to incorporate 1 mm Zicral (an aluminum alloy) blades on top and bottom of the 3 fiberglass/epoxy channels again without wood core. In 1969 tests were made in Zermatt – initially without the knowledge of Rossignol. The results were spectacular, the skis later branded “Equipe Suisse”, mentioned earlier. Also in 1960, Cellpack in Wohlen began to produce fiberglass/epoxy reinforced plastics. They convinced Kneissl to adopt this material for the top and bottom layers of their skis. The result was the famous “Kneissl White Star” with which, among other, Karl Schranz won many races. Due to its liberal economy, early industrial development, wealth, scenery and tourism, Switzerland has more mountain railways and cableways in relation to its size and population than any other country. The first ones were an aerial cableway used to ferry workmen across the Rhine at Schaffhausen (1866), a rack railway up to the Rigi (1871), a cable railway (funicular) in Lausanne (1877) and the world first mountain aerial cableway for public passenger to the Wetterhorn in Grindelwald (1908). There are still several cableways manufacturer in business: Bächler Top-Track, BMF Bartholet Maschinenbau AG, Borer Lift AG, CWA Constructions SA, Garaventa/Doppelmayr AG, Inauen-Schätti AG, NSD Niederberger AG, Rowema AG Swissrides AG and Von Rotz Seilbahnen AG. Others stopped manufacturing, sold on or disappeared such as Annen, Baco AG, Bell Maschinenfabrik AG, Brändle, Constam, WBB Bühler, Elbag, GMD-Müller, Georg Fischer AG, Garaventa, Giovanola Frères SA, Habegger AG, Küpfer Maschinenfabrik, Lauber Seilbahnen, MWB Metalwerke Buchs, Odermatt, Oehler Eisen- &Stahlwerke Co, Norro, Rickenbach, Rowema, Sameli-Huber, Skimag Ski- und Sessellifte, Streiff, TEBRU, Vogler, Von Roll AG and WSO-Städeli. 1934 will be remembered as the birth of history’s most influential ski lift design. Ernst Constam, an engineer from Zürich, built the first “J-bar”, later a “T-bar” at Bolgen in Davos (patent 179310). In 1940 he immigrated to the U.S. where he further developed the business of ski, chair lifts, and gondolas. All over the world he must have sold over 200 installations – many more copied. There are still today thousands of T-bars in operation worldwide. These lifts had a strong impact, not only on the ski industry, but on tourism. Also in 1934, Gerhard Müller a rope ski lift (CH174250). One year later, Beda Hefti built the first ski lift which permitted curved sections. Instead of bars, there were belts around the hips. In 1946, Heinrich Vogler invented the ski lift “Trainer”, a lightweight removable, inexpensive lift, ideal for short slopes; it could cope with lengths of up to 1000 meters and height differences up to 300 meters and is still highly popular. Currently, Switzerland has around 900 ski lifts (not including 570 lightweight, removable lifts), 350 chairlifts, 120 gondolas, 130 aerial cable trains, 60 cable railways and 30 rack railways. Emile Constant Cochand (1890-1987), after two years as a ski instructor in Switzerland, was invited by the Montreal Ski Club in 1911. He came with 100 pairs of skis and poles, six bobsleds and 20 sleds. At Ste-Agathe in Quebec, he founded the first North American ski school. Cochand taught cross-country, Telemark, cross jump, jumping, bob sledding, snow shoe and organized competitions. In 1914, he opened the first resort hotel on this continent at Ste-Marguerite. The lodge burned down shortly after its completion but, he rebuilt the lodge by 1917. Chalet Cochand still exists today. John (Jean) Monod, from the French speaking part, a world class ski racer in the 1930’s immigrated to Banff, Canada in 1947 where he met fellow Swiss Bruno Engler. Monod was an adventurer, a mountaineer, above all a man with a vision to bring Banff a winter life through the sport of skiing – even showed ski movies that he filmed. By 1949, he set up Monod Sports at Sunshine Lodge (now Village), making it one of the first ski shops in Western Canada. With his brother Jerry and Bruno Engler they were ski instructors at the Mt. Norquay ski area for most of the 1950’s. Monod also led the ski schools at Mt. Norquay for 4 years and at Sunshine for 11 years. After a fire destroyed his business in 1956, he reopened Monod Sports in Banff. 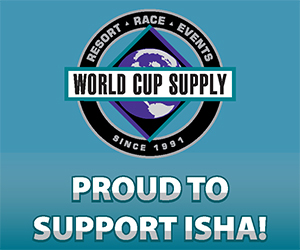 Monod sons, Peter, Phillip, and his step-daughter, Stephanie Townsend raced on the World Cup Circuit. Phillip was Canadian Junior Champion and Peter was seven-time Canadian Champion and one-time U.S. Champion. Today, the store is managed by Monod’s sons. Hans Thorner (1908-2004), from Einsiedeln, a ski instructor, emigrated to the U.S. in 1932. There, he became a PSIA first class certified ski Instructor. During the 40′s he owned and operated the Thorner House in Franconia, NH. It was an inn of some renown and one of the first in this country where you could “ski all the way home.” He also ran the Hans Thorner Ski School on Cannon Mt., filmed the 1948 Olympics and went on to make ski movies for Swissair including sequences of himself. Thorner dreamed of a Swiss village at the base of a mountain. As a consequence, he chose Magic Mt. VT (1960) with its steeps, trees and cliffs – on the upper half even frightening skilled skiers today. The Thorner family operated Magic Mt. until in 1985. Fortunately, the area remains a refreshing change from the scene of the crowded and expensive mega-resorts. Walter Prager (1910-1984), from Arosa, became the first FIS Downhill Champion (Arlberg-Kandahar race) at Mürren in 1931 and two years later won the FIS world downhill championship at Innsbruck, Austria. Prager became the Dartmouth Ski Team coach in 1936 and occasionally also taught skiers at Pico VT. He was named U.S. Olympic coach for the men’s and women’s team at St. Moritz (1948) where Gretchen Frazer won gold in slalom and silver combined – to become America’s sweetheart. In 1941 Prager volunteered and was given the rank of Sergeant in the 10th Mountain Division. He retired from Dartmouth in 1957. Alfred (Freddy) Pieren (1911-2003), from Adelboden, became in 1939 a battalion guide before emigrating to the U.S. in 1941. Two years later, he joined the 11th Mountain Brigade, served as an instructor of the 10th Mountain Division at the Allied Mount Warfare School. After the war, he settled in Sun Valley. Pieren, an ingenious ski instructor, developed among other, a machine for ski waxing and as a consequence opened a shop for waxing and storage. In 1961, Howard Head offered him a job as chief technician of the Head Ski Company where he played a major role in developing the highly successful 360 model. Pieren represented Head at the Olympics of Innsbruck (1964) as a technician of the U.S. and Canadian teams. On his return, he joined Voit Co., which began developing fiberglass skis in California. After Voit discontinued ski manufacture, Pieren worked for Olin Ski from 1966 on. Fred Iselin (1914-1971), from Glarus (the son of Christof, the pioneer mentioned on page 1), became known as a skier before he went 1930 to Chamonix in France. He stayed there 8 years as a ski instructor, film actor, racer, trainer of some women of the French ski racing team. Iselin won impressive victories at the Grand Prix de Chamonix, the Brevant-Chamonix, and the Lognon Downhill. His most impressive win was the time record at the Grand Prix de l’Aiguille du Midi – a race discontinued because too dangerous. Iselin arrived in the U.S. in 1939, met in San Francisco by chance Friedl Pfeifer, one of Colorado’s notable ski school directors and designer of the Mt. Baldy ski area at Sun Valley. Latter offered him to teach the top class. In 1947 they both moved to Aspen. An instructor “par excellence” for over 40 years, his achievements include ski school director for Aspen Highlands, author of bestselling book on ski techniques “Invitation to Ski” as well as “The New Invitation to Skiing and Invitation to Modern Skiing” and movies such as “Snow Carnival” starring Gary Cooper and “The Wonderful World of Color” with Walt Disney. Bruno Engler (1915-2001) from Lugano, a mountain guide and professional photographer arrived in Canada in 1939. After working as a ski instructor for Jim Brewster at Sunshine Village, he obtained his first guiding job at Chateau Lake Louise where he operated with the legendary mountaineers, Ernest Feuz and Rudolf Aemmer. In the mid-1940s, Engler taught survival and mountain warfare for the Canadian army and upon returning to the Rockies to teach skiing, organized the first Veteran’s Ski Race – an annual event over which he presided for many years. In his long career, Engler was also an actor, cameraman, photographer, as well as one of the Canadian Rockies’ great story-tellers. In the mid-1950’s, Engler created Alpine Films, which offered cinematography and location/mountain safety consulting to the film industry. He worked with Disney, Universal Studios, the National Film Board and both Canadian and American television networks. Engler photographed such Hollywood stars as Jimmy Stewart, Paul Newman, Charles Bronson and Margot Kidder, many of whom remained his friends. During more than 60 years of still photography, he compiled an unprecedented collection of magnificent black and white photographs, which represent a remarkable portrait of a period of intense change in Canada’s National Parks. In 1996, The Alpine Club of Canada celebrated his extraordinary life by publishing Engler’s first book, “A Mountain Life: The Stories and Photographs of Bruno Engler”. Karl Acker (?-1958), from Davos, a slalom racer, was recruited in 1939 by Brad and Janet Mead (the founders of the Pico VT resort) to head their ski school. While in Davos, the Mead’s were impressed by Constam’s T-bar ski lift and ordered one right away, as a matter of fact the first in North America. Acker joined the 10th Mountain Division during World War II to develop the mountain troop ski program. He also initiated the Pico Ski Club. Acker was trainer of young Andrea Mead, the daughter of Brad and Janet. At age 19, she captained of the U.S. women’s team at the Olympics of Oslo, Norway (1952) – and became the first American skier to win two Olympic gold medals (slalom and downhill). A trained mechanic, Acker also designed and built a single chair to be attached to the Pico T-bar lift for summer rides. He managed Pico resort before buying it from Jane Mead in 1954. Acker suffered a heart attack in 1958, and according to his wish, was buried at the Peak of Pico. Paul S. Valar (1920-2007), from Davos, spelled Valär there, was a ski instructor, mountain guide as well as Swiss decathlon champion – besides fluent in German, Italian, French and English. As a member of the Swiss National Ski Team, Valar was invited to compete in the U.S. National Ski Championship of Ogden, UT in 1947. There, he placed second in both the downhill and the combined – met a beautiful Austrian-born member of the U.S. National Ski Team, Paula Kann (working for Hannes Schneider at North Conway, NH). In 1949 he coached the men’s Swiss National Ski Team, later decided to follow Paula to the U.S. where he became the director of the Cannon Mt. Ski School in Franconia. From the 1940s to the 1980s, Valar was a founding force and guiding light for New Hampshire ski instruction. In 1977, he became the first President of the New England Ski Museum. 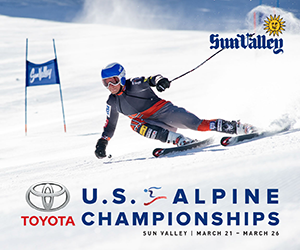 For his manifold contributions to the sport of skiing, Valar was honored with lifetime membership in the Professional Ski Instructors of America (P.S.I.A.) in 1974 and was elected to the National Ski Hall of Fame in 1985. Walter Haensli (1921- ), from Klosters (a ski friend of the writer) was already at the age of 17 member of the Swiss National Ski team. Because of bad luck however, he could not join the Swiss team at the Olympics in St. Moritz (1948), at that time some selected by drawing lots! Haensli’s second chance came when US Coach Walter Prager hired him to train the women – and Gretchen Frazer became the first American to win gold and silver. Jack Heinz, from the Heinz Ketchup fortune, admiring Haensli, managed to have him hired by the prestigious Sun Valley Ski School for the next season. During the 1949/50 season, Haensli tested new kinds of skis, Howard Head had sent to the Sun Valley ski school for appreciation. They consisted of blank aluminum plates on top and bottom, bonded to a thin core of plywood. He found the skis excellent in powder, made trials, recorded these and wrote to Head suggesting improvements. Invited to visit latter’s “factory” – located in a basement garage in Baltimore, Haensli suggested steel edges, bending the ends slightly upward and adding for esthetics a plastic material. Head chose phenol, a black material to eliminate the glare of the metal, a distinctive feature of his early skis. Head, not a rich man, asked Haensli how he could recompense him. Latter asked for the right to sell Head skis in Europe. During the next 30 years he sold: 18 pairs in 1950/51, in succeeding seasons 57, 186, 1500 and more than 20,000 in 1958 – over a third of Head’s annual total production. Haensli was also a key figure in setting up Head’s production center in Kennelbach, Austria after U.S. production was stopped because of a long strike. Bryan Todd, a rich New Zealander, met Haensli in Sun Valley in 1949. Todd persuaded Haensli to come to New Zealand to look for a skiing area. After investigating different sites, he recommended the Ruapehu Mountain. There, Haensli founded a ski club, run a ski school and set a ski and two chair lifts. Even today, he is honored by the yearly “Haensli Cup” race. Karen Williams covered his life in her biography “Barrel Staves to Carving Skis – A Skier’s Story: Walter Haensli of Klosters”. Art Furrer (1937- ), from Greich, a local ski racer, member of the National B-Team at the age of 17, instructor at 20, examiner of the Ski School Association at 21 (however suspended at 23 because he liked to ski as he said: the other ways). In 1959, he left for the U.S. and was hired by Paul Valar as a ski instructor at the Cannon Mt. Ski School in Franconia. There, he invented the “Franconia Super-Dooper Wedeln”, and later, under contract of Hart skis, used trick techniques such as the Butterfly, the Reuel, the Charlston, the Twist, the Javelin Reverse, the Hinge-Hop Helicopter and others. Furrer also starred in films such as “The crazy Swiss”. He moved to Penny Pitou in Laconia, NH where he taught the 1961/62 season. Furrer returned to Switzerland where he received an unexpected attractive offer from Henke ski boots as their representative in the U.S. (1963). Two years later he became ski school director at Bolton Valley, VT. Furrer became the number one public relations figure of Hart skis, doing acrobatics shows and films. From 1966 on, he invested his savings in condominiums at Riederalp, next to the Aletsch Glacier ridge where he returned in 1973, bought a hotel and became its leading resort entrepreneur. Furrer, who began penniless, is now a rich man, a personality, politically and on TV. In his restaurant “Tenne“, are the twelve-foot long skis from the German broadcast “Can you take a joke?” displayed. Roger Staub (1936-74), from Arosa, ski racer, ice hockey player and ski instructor won three races of the Swiss Junior Championship (1955), followed by three medals at the World Championship in Badgastein, Austria (1958). His biggest success however, was the goldmedal (GS) at the Olympics in Squaw Valley (1960). Thereafter he signed on to promote Hart skis. After the season 1960/61, Staub retired from racing and opened a ski school in Arosa. There he did also acrobatic ski shows, in part together with Art Furrer (both on Hart skis), culminating in the movie “Die Snowboys aus Arosa”. Staub was ski school director in Vail from 1965-69. A deep powder run is named after him and he participated in the movie “Ski the Outer Limits”. Staub died 1974 in a delta wing accident in Verbier, Switzerland. His Roger-Staub cap, enclosing the head with small openings for the eyes, continues to live. Among other instructors, racers or mountain guides from Switzerland, there were C. Bezzola, Herb Bleuer, Ernst Buehler, Beat, Hans and Otto von Allmen, Rudi Gertsch, Stefan Kaelin, Hans-Peter Stettler, Peter Schlunegger, Sepp Renner, Ernst Salzgeber, Kobi Wyss as well as many others. Luzi Hitz, Cyprès 4, CH-1802 Corseaux, Switzerland (close to the lake of Geneva); lhzlhz@bluewin.ch. You can visit the collection of about 120 pairs of alpine skis from around 1900 to these days beside consult a large documentation. Laurent Donzé, CH-2336, Les Bois (about 60 miles from Bern); l.donze@bluewin.ch. Most likely the largest collection of cross-country skis (about 2000) in the world as well as over 200 pairs of antique alpine skis.